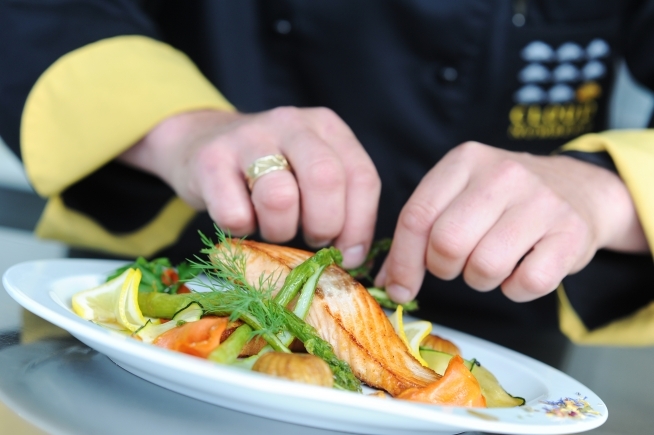 Cloud Number 9 Inflight Catering offers Premium Catering at the highest level – directly from Innsbruck Airport. As a joint venture of Tyrolean Jet Services and Welcome Aviation Group, Cloud Number 9 has been well experienced in Executive and Premium Airline Catering for more than 30 years. The main difference to other catering suppliers is, above all, our 24/7 services as well as the “first row location“ at Innsbruck Airport. Our worldwide connections to the international aviation sector enable us to understand cultural differences in preparing & serving food. Therefore, we are in a position to offer Asian, African and Muslim specialties at the highest level with a flexible, quick and individual approach. Our more than 3 decades of experience in food entertainment and working in close cooperation with international partners allow us to even exceed your personal wishes in favor to an outstanding event.